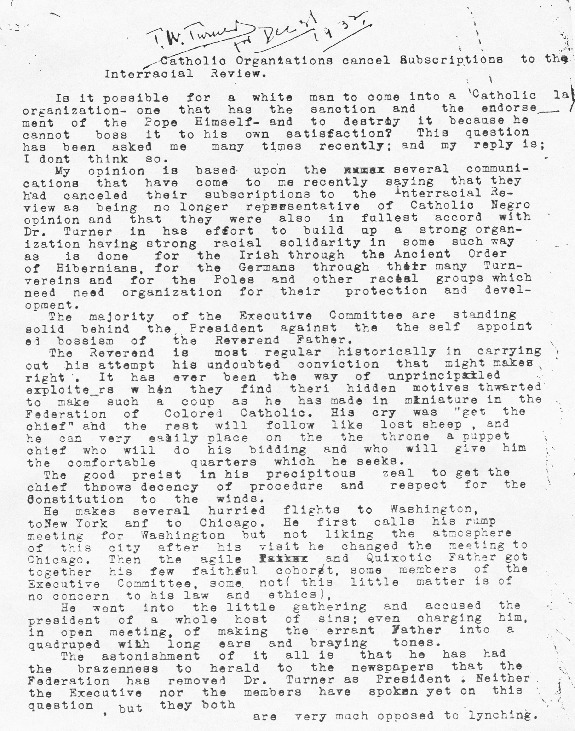 In early December 1932 Turner wrote a draft of an editorial in response to the activity of Father Markoe. Though Father Markoe's name was never mentioned in the article, Turner referred to his decision to change the name of the Federation's magazine and to his assertion of authority within the organization. What is the general tone of the draft? Please provide specific examples to support your statements. How does Turner characterize Father Markoe's recent actions? What other organizations does Turner mention in the draft? What kind of organizations are they? Why would Turner associate the FCC with these organizations?